The government’s policies aimed at tackling youth unemployment in the UK have so far been disappointing: wage incentive payments have had little impact, and there has been less uptake of the government’s apprenticeship scheme than targeted. Thankfully, Nick Clegg has recently come out with new proposals that will contribute to tackling some of the structural issues behind stubbornly high youth unemployment. But, bolder action could be taken, and it is a problem worth spending money on, writes Nye Cominetti. 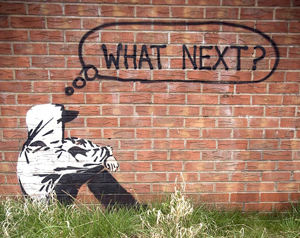 Tackling the UK’s youth unemployment crisis is one of the most pressing issues facing the coalition government. Given their first response had little impact, it’s worth considering whether the latest announcements will fare any better. With youth unemployment at over a million in April 2012, ‘The Youth Contract’ was the centre-piece of the government’s response. This included wage subsidies for employers taking on young people, as well as increased funding for apprenticeships, work experience placements and internships. Collectively, the schemes included under The Youth Contract banner were worth £1 billion over three years. Yet, statistics released in February show that the Youth Contract has had limited impact. Take, for example, the wage subsidies. The government allocated £374m to these over a three year period – which would amount to just over 160,000 wage subsidies of £2,275 each (or 4,000 each month for three years), paid when a young person on the Work Programme is employed for six months. Between April 2012 and November 2013, only 4,100 such payments were made. While the number of eight-week interim payments (which are available to small companies) has risen markedly since March 2013, it is still extremely unlikely that the scheme will reach anywhere near the desired level of take-up. Even if take-up was to triple over the remaining two years of the scheme, the total number of young people achieving six months of employment through the scheme would be only 25,000. The government has emphasised apprenticeships as a key mechanism to tackle youth unemployment. As such a key element of the Youth Contract concerned apprenticeships; specifically, the provision of 40,000 £1,500 grants available to smaller companies taking on an apprenticeship. This programme fell slightly short of its target, but this is only a small part of government spending on apprenticeships – the main source is subsidies for training for young apprentices. So, it is probably fairer to judge the performance of the government in this area by looking at the impact of apprenticeships overall, not just this scheme. Even with a wider lens, however, it is clear that the apprenticeships system has not played a significant part in reducing youth unemployment. The majority of the increase in apprenticeships in recent years has gone to the over-25s. The number of people aged under-19s starting apprenticeships is actually lower in 2012/13 than it was in 2009/10. Careers advice – Our research shows that careers advice is important in helping young people make informed decisions about what to do both in and on leaving school. While we welcome this announcement, it follows the 2011 Education Act, which ended local authorities’ responsibility to deliver a universal careers service and led to a watered down version of the same duty to schools. An Ofsted report found that only 1 in 5 schools were providing adequate information, advice and guidance. The National Careers Service is available to young people, but for under-19s, it only offers a telephone and internet service. Evidence shows that young people, particularly those from disadvantaged backgrounds, need high quality face-to-face advice and guidance to support them to make informed decisions about their future. The 2011 Education Act therefore represented a set back, and it is hard to see what will be achieved now by strengthening the requirements on schools without also funding them accordingly. Application system for non-university options – Clegg said that 16 year-olds will “get the chance to sit down and search, via a single website, the full range of college courses, apprenticeships, traineeships and other work-based programmes on offer in your local area,” and that this site would be run by local authorities who would be responsible for gathering the information to populate the site. The options for a young person not going to University are bewildering, whereas picking a university and a degree to study are relatively straightforward. We know that the transition from school into work or further/vocational education is fraught with difficulty for young people not choosing the University route, and anything that puts young people in a more informed position and helps them better navigate and understand the options available to them is to be welcomed. At our recent skills conference, Liam Byrne, Shadow Minister for Universities, Science and Skills, said Manchester (a Labour-run council) had this idea first, which suggests the idea will have cross-party support. Benefits – Clegg announced three measures: two carrots and one stick. Carrot 1: A proposal to grant access for the first time to 16 and 17 year-olds to the job search advice available in Job Centres. This is a welcome move. We have raised before the problem of young people’s disengagement from employment services, and this will address that. Although, given that the age of compulsory education is being raised to 18 in 2015, this move might soon become moot. Carrot 2: Work experience for 18-21 year-olds on JSA for more than six months is something we also welcome. Clegg said, “For all young jobseekers, after six months out of work, your advisor will also help you get a work placement,” which implies there is no conditionality attached, which is welcome. We have written before about the drawbacks of ‘workfare’ policies. Apart from any inherent unfairness, a 2008 review of workfare schemes for the DWP found “little evidence that workfare increases the likelihood of finding work.” Both carrots are welcomed, then. The stick. Clegg announced that young people who do not have level 2 at Maths and English (the equivalent of a grade C at GCSE) will lose their JSA unless they go on a course. This is the wrong approach, as the mandatory element is likely to be counterproductive. The DWP’s own 2011 analysis of a pilot of mandatory training found no evidence of positive employment effects. Disappointingly, this approach is also endorsed by Labour. Rachel Reeves, Shadow Work and Pensions Secretary, announced similar plans in January. Training should be offered to young people, with the benefits explained, and not forced on them. So, Nick Clegg’s announcements contained some good ideas that will over time benefit young people; the UCAS system for non-University options in particular stands out. And, Clegg is right that careers advice must improve, though without funding, it is hard to see how schools will achieve this. What is notable about Clegg’s speech is the lack of measures designed to make a significant difference in the short-term to the number of young unemployed. Faced with evidence that the wage incentives scheme is failing, one might have expected more, perhaps an increase in the subsidy level to levels similar to the Future Jobs Fund, which was more expensive but more effective. Instead Clegg has presented a handful of changes, many of which are welcome, but none of which will have immediate impact. The government might point to the under-21s National Insurance Contributions (NIC) holiday for employers announced in the 2013 autumn statement as a policy which will have a short-term impact. It won’t; the policy does not take effect until April 2015, and evidence on the effectiveness of such policies is limited. However, while the absence of a bold short-term measure is to be lamented, it is nevertheless a good thing. The measures Clegg announced will contribute to tackling some of the structural issues. In particular, proposals for a UCAS system for vocational and further education are an important recognition that the system is too complicated for young people not going to University. If Clegg is in the mood to make further inroads into the structural youth unemployment problem, we would recommend proper funding for careers advice, reform of the apprenticeships system to improve quality, and support for those young people who cannot to travel to work, or for whom transport is unavailable. Youth unemployment numbers are likely to fall very gradually over the coming years as the economy improves. The coalition will, most likely, present this as vindication of their approach, as they have with the overall employment figures. But, this should be resisted. Bolder action could have made a difference and stopped the youth unemployment figures climbing as high as they have. It is a problem worth spending money on because of the long-term consequences that unemployment can have on young people, on their future earnings and employment, and (if we are thinking in Treasury terms) on their contribution to the UK economy.